September is Clivia month at Babylonstoren so join us on the 20th September 2014 and meet Dr Hans Roos who generously gave us the 9 000 clivias that flower every spring under the shade of the indigenous wild olives trees along the stream. Hans will share his passion for Clivia that has enchanted him for more than 20 years, with unique experiences observing the different species in the wild to the romance of growing and hybridizing these lillies. 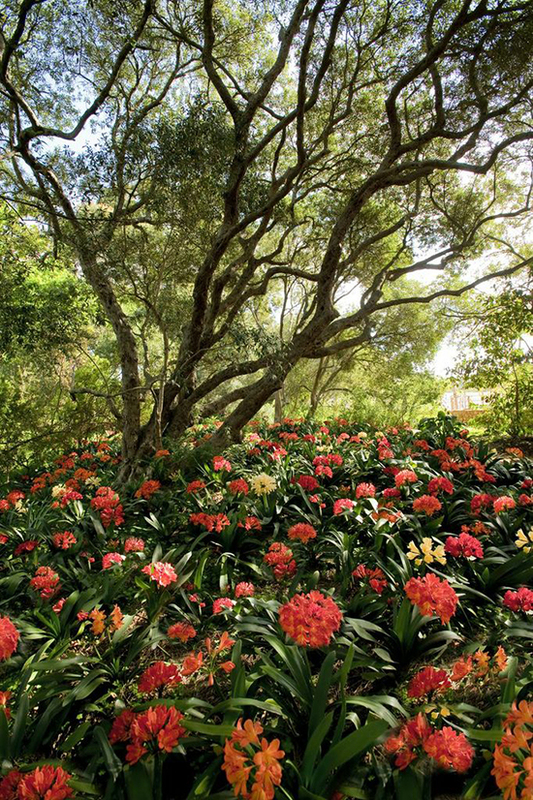 This talk will give you a better understanding of where and how Clivia grow naturally, information that will make you proud to share the soil of South Africa and help to grow them at home. Meet us at the Farm Shop at 10h00 for a walk through the Garden. Back at the White Studio we will serve refreshments to start your day with us. End the day enjoying refreshments reflecting on all the new things you have learnt. Ek stel belang in clivias.